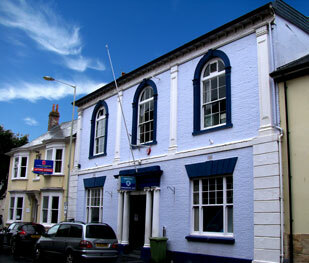 A warm welcome awaits visitors to Barnstaple Conservative Club which is set in the heart of the North Devon town of Barnstaple. This market town is the major hub for North Devon and is conveniently located for all the visitor attractions and shopping outlets in the area. The Exmoor National Park and the golden beaches of Croyde, Putsborough, Woolacombe and Westward Ho! are all within easy reach of Barnstaple. The coast of North Devon also has many quaint villages and towns to explore such as Bideford, Instow, Clovelly, Ilfracombe and Lynton & Lynmouth. 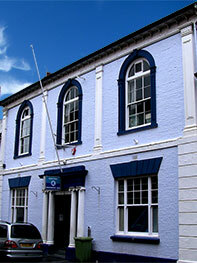 The club is just a few feet from the main Green Lanes shopping centre and the main Barnstaple High Street. The Green Lanes undercover multi-storey car park is extremely convenient for visiting the club during the day and on-street parking is available directly outside the club (pay and display daytime and free after 6pm).